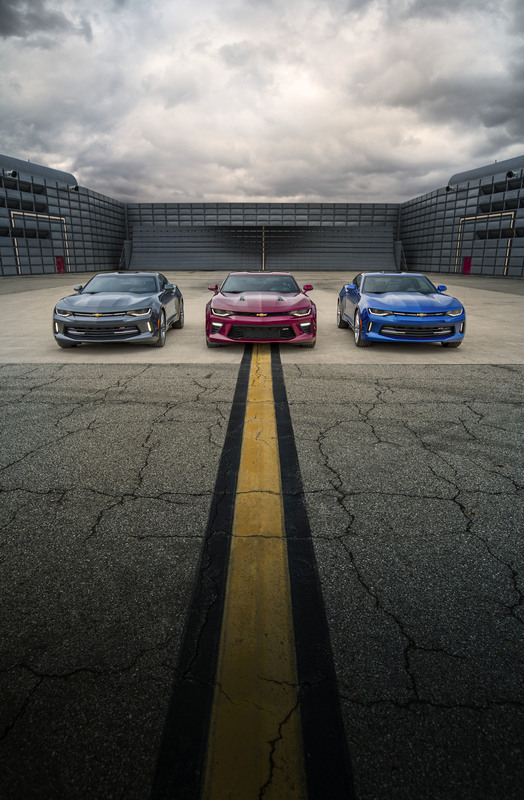 One of the most famous and well known automotive rivalry, especially in American auto scene, for more than half a century has been between Ford Mustang and Chevy Camaro. ‘Stang vs Camaro is same as Toyota Corolla vs Honda Civic or Pakistan vs India cricket match. The first Mustang was debuted in New York on April 17, 1964 and it was a blazing success and became the fastest selling vehicle in history. 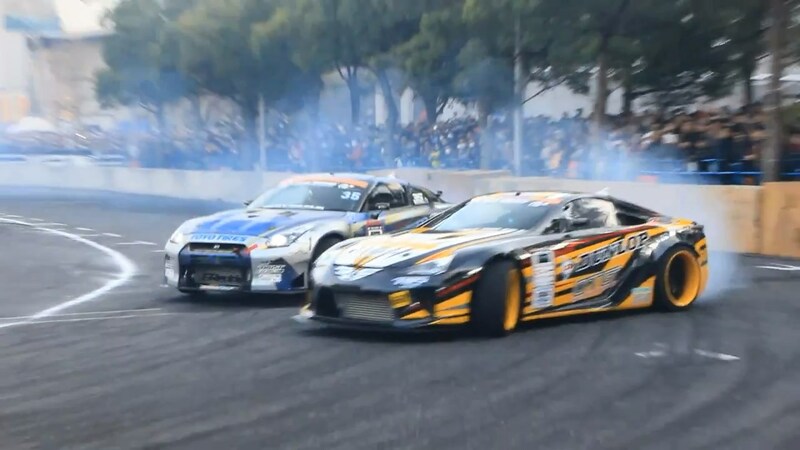 General Motors could not see this success from a rival car company and they started working on a car which can go head to head against Mustang. After 3 years, in 1967 the first generation Camaro was released. After release of current generation of Ford Mustang, which is actually a 6th generation, it became a quick hit . 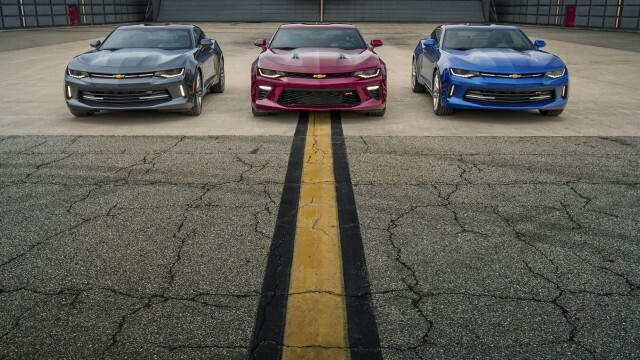 Chevy also started working on their Camaro soon after release of Mustang and after an extensive development program, on 16th May 2015 Chevy released the the most anticipated sixth generation Camaro as a 2016 model. The new model will go head to head against the newly invented Mustang and it is clear that Chevy didn’t cut corners at all. 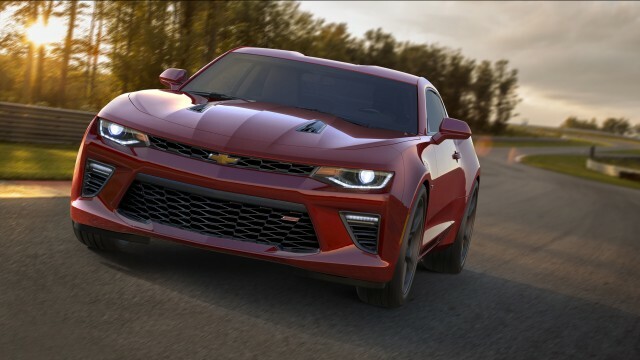 The new Camaro, from exterior, looks and feels not much different from the outgoing generation and is keeping its muscular lines. The exterior of new Camaro does not have any revolutionary changes, rather more of evolutionary ones. Chevy didn’t want to play much with exterior as it is one of the most appreciated design and automotive enthusiasts loved it a lot. Under the skin and interior is where most of changes can be found. Chevy is using all new Alpha rear-drive platform that is currently under use by Cadillac for their ATS and CTS model line up. The new Camaro is 28% more rigid while around 200 pounds less in weight as well. The new car looks thinner and more sportier and it’s a result of some new dimensions. It is 2.3 inches shorter, 0.8 inch narrower, and 1.1 inch shorter in height. The major news is on engine front. 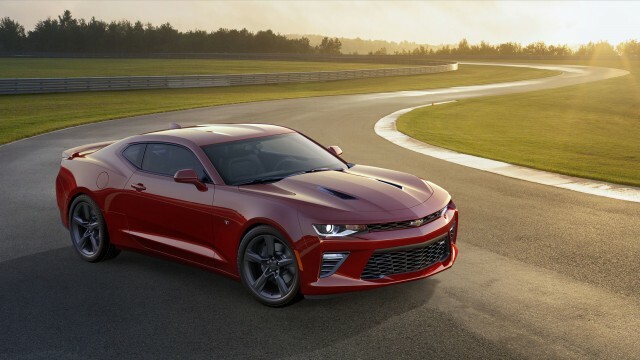 The Camaro will now also be available with a 2.0L Turbocharged engine which makes 275HP and 295lb ft of torque. This is same engine which can be found in Cadillac ATS sedan. 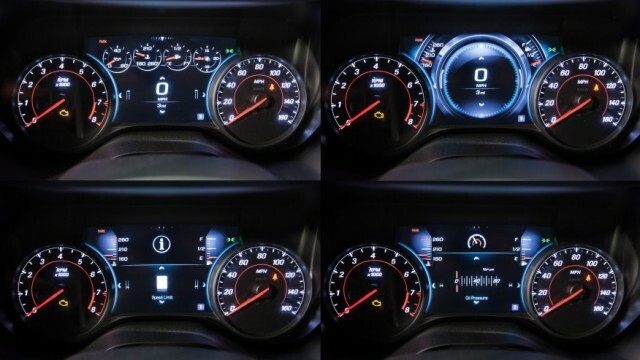 As per Chevy it will be able to hit zero to 60 in less than 6 seconds. Apart from this smaller displacement engine there is all new 3.6-litre V6 with 335HP and 284lb ft of torque. 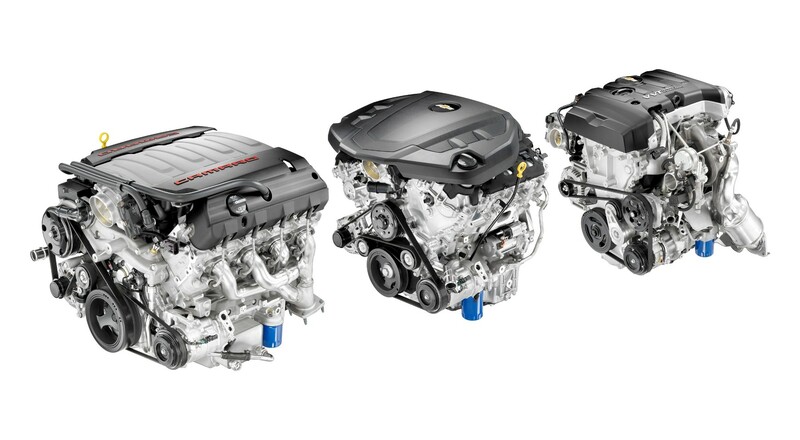 Then there is the monster engine option in form of a 6.2-liter LT1 small-block V8 [same as the one in Corvette C7] which pumps out 455 HP and 455 lb ft of torque. 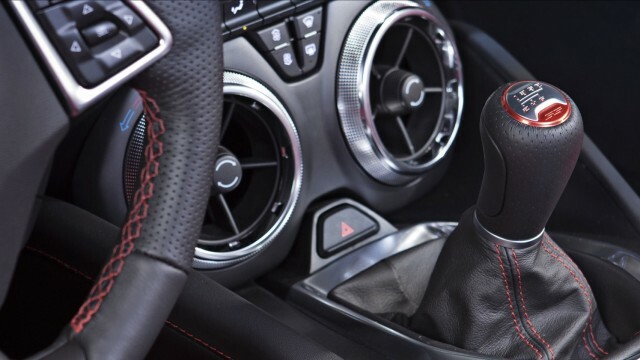 The car with 2.0L engine will have active noise cancellation and will even feed fake noise into engine cabin via audio system [like some German cars]. And yes, the driver will be able to switch off the fake sound. 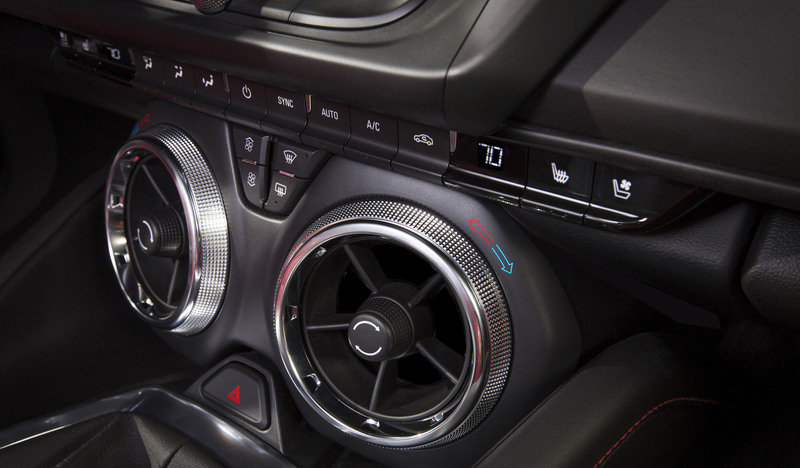 While Camaro equipped with the two larger engines will get induction noise resonators pipes that will bring the engine noise in the cabin. The active exhaust mode can be used to diminish the exhaust noise to keep monster under the hood on leash. 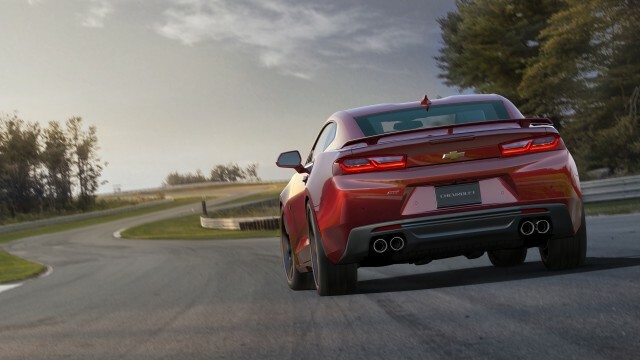 All 2016 Chevrolet Camaro engines will be either a six-speed manual transmission or an eight-speed automatic. 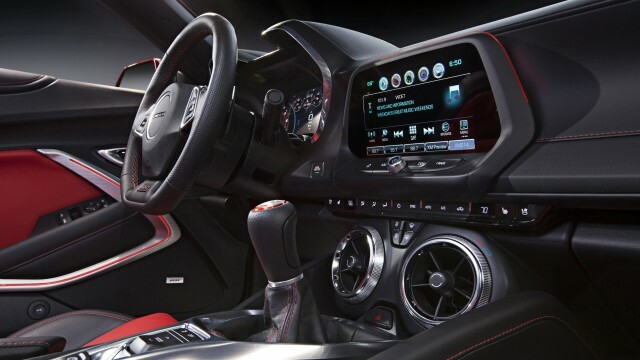 The interior is also one of the most advanced and up to date. 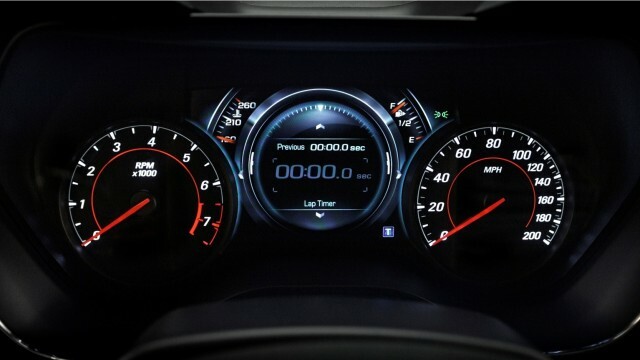 The instrument cluster will come with customizeable 8″ display which will reflect navigation, music, as well as other car related data. 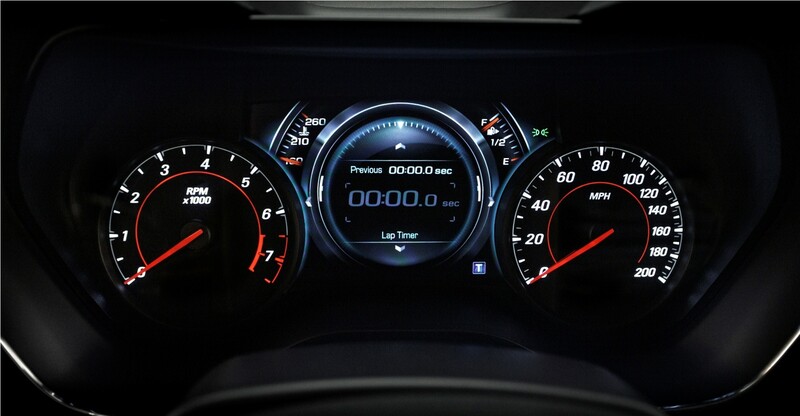 A second 8″ inch screen will be found stacked over front of dash board. 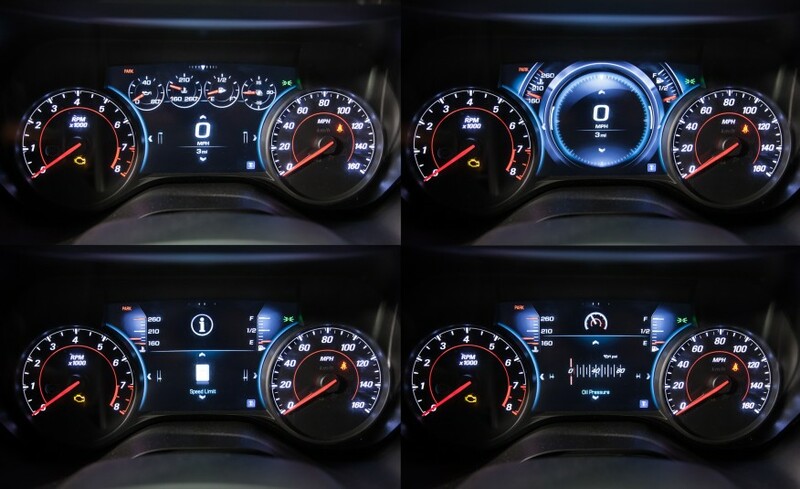 Camaro will also come with a “spectrum lighting” which will allow drivers to change to 24 different colors of the ambient lighting effects on the dashboard, door panels, door sills and center console. The 2016 Camaro will be available in 10 different colors and will go on sale by the end of 2015 in United States. No word on pricing as of now but expect base model to be somewhere around USD 25000.